Last Chance to Speak Up for Grand Staircase-Escalante and Bears Ears -- Comments Due July 10th! Last Chance to Speak Up for Grand Staircase-Escalante and Bears Ears — Comments Due July 10th! This coming Monday, July 10, is the final day for you to tell Interior Secretary Ryan Zinke that he and President Trump need to leave Grand Staircase-Escalante and Bears Ears National Monuments intact. Click here to submit your comment to the Department of Interior today. On June 12th, Secretary of Interior Ryan Zinke issued an interim report recommending that Bears Ears National Monument be significantly reduced in size—a move that simultaneously dishonored Native American Tribes and ignored the input of hundreds of thousands of American citizens. Meanwhile, Secretary Zinke has invited local counties to submit revised boundaries for Grand Staircase-Escalante—a well established monument celebrated for revitalizing local communities and yielding stunning paleontological discoveries. With both monuments under siege, a strong record of public support is essential. If you haven’t made your voice heard yet, now is the time. 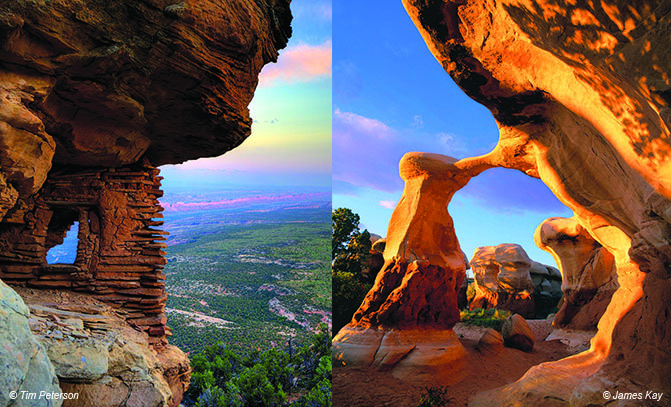 Tell Secretary Zinke to leave Utah’s monuments alone! >> Click here for more information on Bears Ears. >> Click here for more information on Grand Staircase-Escalante. Your comments are urgently needed. Please take action today.